The law firm of Beaty & Draeger, Ltd.
has been serving Alaskans since 1989. The firm focuses on bankruptcy, tax law, and business law. Beaty & Draeger represents debtors in Chapter 7 and Chapter 13 bankruptcies and is one of the few firms in the state that handles complex Chapter 11 bankruptcies. Beaty & Draeger handles all matters resulting from collection activities by the Internal Revenue Service. From simple installment agreements, lien and levy releases, offers in compromise, to complex tax litigation in the US Tax Court. The firm is ready to assist with all tax matters – even if a taxpayer has not filed tax returns for a number of years, Beaty & Draeger can prepare the returns to determine the correct amount of tax liability and the options available to pay the resulting tax liability. We serve all Alaska communities. Yes, everyone can file for protection from creditors under the bankruptcy code. 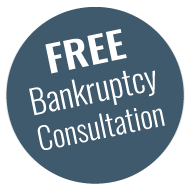 Depending upon your circumstances, you will file either a Chapter 7 or Chapter 13 bankruptcy. Most people will file a Chapter 7 bankruptcy, but in some cases a Chapter 13 will be filed, such as if household income exceeds a certain amount, or if a person is behind in payments on a house mortgage. A Chapter 7 bankruptcy is liquidation bankruptcy (get rid of all debt). However, the debtor is usually able to keep all of his/her assets. The bankruptcy code allows a debtor to exempt (keep) many personal items up to certain dollar limits, most commonly: the debtor’s personal residence, vehicle(s), household goods, tools of the trade, PFD, and retirement accounts. A Chapter 13 is a repayment plan bankruptcy that usually lasts for five years. In a Chapter 13, the debtor pays a bankruptcy trustee a certain monthly payment and the trustee, in turn, pays this to the creditors. During a Chapter 13 bankruptcy, in addition to the monthly payment to the trustee, the debtor must make his/her regular monthly payments on the asset(s) he/she wants to keep (i.e, a house and/or vehicle) in full and on time each and every month. 1 occupant $62,326; 2 Occupants $85,281; 3 Occupants $86,944 and it continues to rise with additional occupants (children). These amounts change somewhat every year. A foreclosure is scheduled to take place on my house. Is there anything I can do? Yes, a filing of any type of bankruptcy prior to the foreclosure sale will stop the foreclosure sale. Will all my debts go away? No, some debts are not dischargeable. Child support, student loans, and federal and state taxes are generally not dischargeable and you will have to pay those debts. Can I keep my car and/or house? Yes, in most instances there is not much equity in these assets, and as long as you are current and continue to make the monthly payments on the car loan or mortgage, you may keep these asset(s). The bankruptcy filing may actually help your credit because your credit is probably not all that stellar right now. A bankruptcy filing will show up on your credit report for seven to ten years, but by filing bankruptcy, all debt incurred prior to filing bankruptcy will be discharged and this will improve your credit. © 2019 Beaty & Draeger, Ltd.. All Rights Reserved.